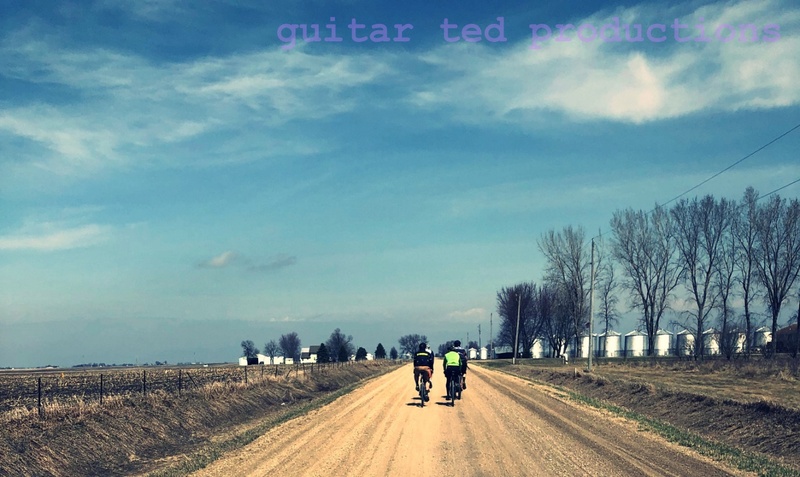 A new gravel grinder event called "Iowa Wind And Rock" was announced publicly on Monday, September 10th, 2018. The following are my thoughts, comments, and answers to any potential questions about this announcement and it's relation, whether imagined or real, to the now defunct Trans Iowa. Let me get a few things straight here. First of all, yes- I knew this was coming. I've been aware of the beginnings of this since May of this year. Second of all, no, I have nothing to do with getting this off the ground. Well, that isn't entirely true, because it was the event, Trans Iowa, which I ran for 14 years, that inspired this. So, in that way, I did have something to do with that. I suppose you could also say my dialogue with the RD leading up to this had some guiding benefit, but really, they had it figured out without me. Now, here is what I know about this new, ultra-length gravel event. Iowa Wind And Rock will be held in Winterset, Iowa on April 20th, 2019. Yes- 4-20. Read into that what you may. I know that this event is to emulate Trans Iowa in several ways. NOTE- It isn't Trans Iowa. But it will be very much like Trans Iowa, just don't expect things to be exactly the same. Yes, I know this is the intention of the RD of this new event. As stated, we've had previous discussions pertaining to this. Other, fine details, and elements of this event are yet to be revealed. So, that's all I know about things so far. The People: I know the folks organizing this event. Their names are well known to many gravel aficionados. Sarah Cooper, Steve Fuller, and Dennis Grelk are the main characters behind this. I know that they have every intention of doing this event to the very best of their abilities and that their intentions are honorable and sincere. I have hosted these folks at Trans Iowa, I have had them as volunteers. They "get it", as I was wont to say about people that understood what Trans Iowa was all about. They are going to take that and make it into something new. What it will be is yet to be seen. So, thirdly- Yes, I have given them my "blessing", so to speak. If you are thinking these folks are popping in at an opportune time, taking advantage of my quitting Trans Iowa, well, you are right. In the very best of ways too. They understand that "now is the time" because I guarantee you that there are other events thinking that "they will be the new Trans Iowa" on the calendar. While that notion is ridiculous, this event has the pedigree and, as I said, these folks understand what TI was about. Can't say that for anyone else promoting out there. All you really need to understand is that these folks loved the idea of Trans Iowa so much, they are motivated to do this. They want to extend the legacy of an event in Iowa that had what Trans Iowa had, in the best way that they know how to do it. It's a free to enter event too, so, yeah......money has not a thing to do with their motivations. Finally, I wanted to post this to not only make you all out there aware of this, but to head off any "What do you think of this, Guitar Ted?" questions that might come my way. I think it is rad, and I wish them all the best. If anyone asks me in the future about this, they are going to get directed to this post. I've said all I want to say about "what I think about this event's existence" here. A podcast version will air on RidingGravel.com at some point for those not tuned in here. The Future: I expect that this will be a quality event and that people will be able to attend something here with similar feel and challenges that were once offered by your's truly. Will I have anything at all to do with this event? I have pledged my support in whatever way they see fit. Right now an appearance on race weekend is being talked about. That's a long ways away and anything is possible at this point. I will be happy to show my face there though and be a service to this event. As far as "how they do things" goes, that's on the RD and the team they have. Ask them. Don't ever bother me with questions of that ilk. So, that's my statement as of now. Questions? Ask in the comments, but otherwise, this is all I have to say about it. Awesome to hear of Iowa Wind and Rock! Like others inspired by Trans Iowa, Iowa Wind and Rock will be created and nurtured by a different cast of characters, with their own brand of nuttiness. I can't wait to see it all work out. Living in Colorado, I know what 420 means..... in 2019 it means Easter. Thank you for the kind words GT. We are excited to carry on the spirit and intent of TransIowa. We can only hope for as long and successful of a run as you have had. @salmon - Unfortunately the weekend of 4/20 - 4/21 falls on Easter this year. Our date choice was based on the fact that The Epic is scheduled for the following weekend in Lake of the Ozarks, Missouri. We wanted to avoid placing competing events on the same weekend, if possible. At least two of us are planning on attending that event, as well. We understand that the date won't work for everyone due to personal and family commitments. I'd strongly encourage you to look at The Epic the following weekend if that is the case, as the scenery is beautiful, the climbs are tough, and it is a well run event. @S.Fuller- Easter weekend is, apparently, no big deal in the endurance racing community. You might recall that T.I.v7 was on Easter weekend and I don't recall having any, or very few, objections to that. Well, I was being more than a little tongue-in-cheek. I’m sure you’ll have a great turn out and I look forward to lurking online, watching it unfold. GT, I’m a big fan of the blog.